djkardkreations: NBUS Challenge #3 Winners! Go ahead, you don't need to stop for small talk. Scroll down and see if your name is there! Then scroll back up, please, and follow me back down. If you make it all the way through, there will be cake and adult beverages. Well, I should hope so! Words, for once, fail me. It's impossible to express how appreciative and overwhelmed and, yes, even stunned I am by your support, enthusiasm, and participation in this challenge! The final number was 557! I know there were several entries thanks to the wonderful collaboration and guest designing I did over at CASology, but honestly, lovely people, how are we ever going to top THAT?!! In the end, I shuffled the letters in NBUS and wore my fingers to NUBS (haha) visiting and commenting on all your fabulous entries. Each and every visit was a pleasure! If I missed you by some chance known affectionately as "old age," please let me know. It was not intentional! Of course, you know I could never personally pick the winners because I think all of your entries are winners ~ truly, I do! Plus, I've become personal friends with so many of you that it would be very hard not to wear my partials. So, I put Hammy to work running the random number generator thingie to choose the winners. Some numbers had to be redrawn because the number landed on those of you playing just for fun. As you know, when the entries went to 200, I doubled the prizes from five $25 gift cards to ten! Well, it seemed only fair, then, to do the same thing when the entries went to 400. I didn't say anything at the time because I didn't want people coming out of the woodwork ~ I wonder, is that an international expression? ~ who didn't really want to follow me. So ... SURPRISE! There are twenty $25 gift cards being awarded! Without further a dew, here are the random twenty winners in Alpha Betty order! Congratulations from me and Hammy! Please email me at darnell dot knauss at gmail dot com. I want to acknowledge and thank those of you who made a special effort to visit and comment on the other entries in the challenge! You know how much I appreciate that! You can always access any of the NBUS challenge galleries via the tab at the top of my blog or via my Pinterest boards. And, of course, there is no time limit on when you can pop in and visit any of the card artists you find in the galleries! Winners, you are free to chose any domestic company for your prize, however, I am recommending that you choose Stamplorations for this challenge. They have great product and great shipping rates. 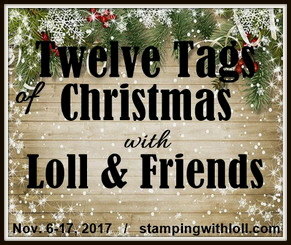 If you do choose to receive Stamplorations as your gift card from me, the owner Shery has generously offered to increase your prize by adding two free ARTplorations stencils of your choice to your order!! Thank you so much, Shery! Okay, phew, I think that's another challenge put to bed! One thing is abundantly clear: we all have NBUS and we all love being encouraged to use it! I often get asked how I pronounce NBUS. Well, as I've said many times, if I'd known NBUS would take off the way it has, I certainly would have chosen a more mouth-friendly aaackronym! She shurgs. Typo on purpose. Here's how I pronounce it. 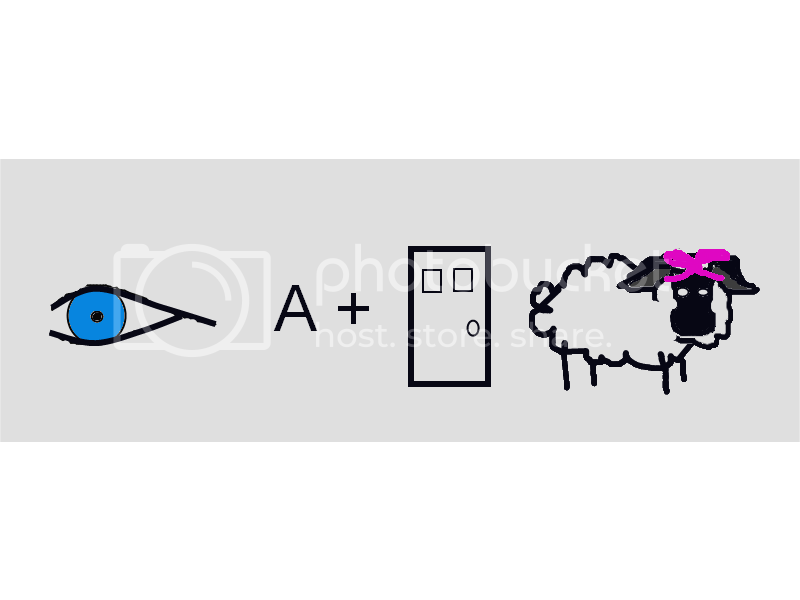 Do you remember as a kid doing a kind of puzzle that was called a rebus? Pronounced ree-bus. It means a picture without words. Or it can be words with pictures replacing words here and there. In wee school, we'd have puzzles made up of three or four pictures and we had to say what the puzzle meant. Like a picture of a school bus + a kid + a school building = riding the bus to school. Or like a picture of a greeting card + a playhouse + a hamster + a wodka = Darnell's crafting. So I pronounce it like rebus, only with an n, so nee-bus. I know there are some of you who say it like it's two words: a capital letter N followed by a bus. N. Bus. Some of you have told me you pronounce it as Naw-bus. Others say Nay-bus. You say tomayto, I say tomahto. Well, actually, I say tomayto. Who cares, right? You say it however you like! The important thing is that you are all on the NBUS bus! Now we are all using our products, which is the goal, so when your family and friends ask you what you're working on, you can just shurg and say, "Oh, you know, I'm Busy Using Schtuff!" I actually made you a card, but this is already way too long, so I'll be back with it in a day or two. Congrats to all winners and a big thank you, Darnell, for hosting such a fun challenge and for your generosity. I had fun pulling out some NBUS. I actually made a few more cards, but haven't found the time to post them on my blog yet. As for the pronunciation of NBUS, I found myself saying Nimbus instead of Nebus in honour of Harry Potter's broomstick. I'm sure you will appreciate my play on words LOL. Have a wonderful Sunday! Congratulations to the lucky winners, another amazing success story Darnell! Well that was great fun Darnell! Well done to all the winners - and to you sweet girl for organising this. 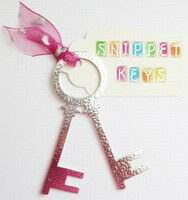 Also for your mahoooooosive generosity! Oh wow that is a whopping number, and you have managed to comment on all those entries...kudos to you Darnell. I am thrilled to see my name among those 25 lucky winners.....it was a very long day at home front today, had to spend some time in the hospital with one of my kids being sick....just got home and saw this post....and to see my name here did cheered me....thanks for being the reason to cheer me today......looking forward to the next NBA challenge. .....I do keep some stuff aside for your challenge. Have a great Sunday. Ohhh wow Darnell, I cant believe my first challenge and now awin. How can I ever expect to top that. Thank you so much. So many people entered, I was telling anyone who would listen, I mean 557 what next. Thank you so so much Darnell. Wow Darnell - congrats on making 557 entries..that truly is amazing! And congrats to all those winners...enjoy your goodies! Oh, I meant to mention (I lost my head when I saw my name in the winners list!)... first, I read from the top to the bottom, no skipping, because it increases the anticipation. ;-) Secondly, I never thought to pronounce NBUS in any way other than EN-BUS. Another lesson in how differently we all look at things. WOWser! What a bumper crop of entries and how kind of you to offer so many prizes and for Shery to up the prize too. Warmest CONGRATS to all the winners - enjoy selecting your shopping! Happy Sunday Darnell ... the NBUS Queen! What an epic challenge - I can't believe you managed to comment on all of them, so thoughtfully too! I always love it when you stop by :) Congrats to all of the winners - I hope you enjoy playing with the NBUS that you buy with your winnings. What a great way to start 2015! Well done to all the lucky winners!! And what a wonderful surprise declaring extra winners! AND what an even lovelier surprise from Stamploations:):) well done Darnell!!! Wow...congratulations to all the winners. Please let me add my total pride in the cardmaking community. 557 entries - WOW!! And you, lovely and awesome Darnell, commented and complimented every S.I.N.G.L.E. one. You made each one of us feel like winners!! I did not come away with a physical prize but WOW the prize and treasure to me is Darnell - I am so lucky to know you, follow you, be inspired by you, and have a few giggles because of you!!! Thank you for your generosity in your prizes, in hosting the NeeBus challenge in the first place, and just being so gosh darn lovable and likable!! You truly are a jewel in the crown of paper crafting bloggers!! Much love and appreciation to you, Darnell!!!! This was such a fun challenge Darnell! I too had tons of fun creating cards with things I've not used before... amazing how much stuff doesn't get used sometimes! :) Cant wait to play again! And congrats to your winners! There were so many fantastic projects in this challenge; I Love seeing what my fellow crafters create. Oh my!!! 557 entries!!! It doesn't surprise me though .... what a fab challenge, hosted by a fabulous lady ... and what a nice surprise on my Sunday morning to find that I'm one of the winners ..... what an honour! 557 blog entries and you visited ALL of them? Amazing! What a fantastic response to your challenge - not surprised you are over the moon! Congrats to all the winners too. Wow! Darnell!!! What a terrific response to your NBUS. Congrats to the winners. Obviously lots of us have stuff never used before! Wonderful post, Darnell and great success! Congrats to the winners of your very generous prize! Congrats to all of the winners!! Great story Darnell. Congratulations on such a successful challenge and congrats to all the winners. You are absolutely too generous Darnell. Thank you for being such a radiant light in this world. Congrats to all the winners! You are one amazing and generous lady! I think we are all winners because we "know" you!!! Great job, Darnell! This's was great fn, and I'm holding back on some schtuff for the next one! Thanks Darnell, for hosting such a fun challenge, for all your personal comments and for your generosity! You have made a lot of people smile and that is no small gift! Darnell, You are an inspiration to me! Thank you for your amazing N-BUS challenge and your positive energy! Congratulations, winners! Thank you, Darnell, it was so fun! Very generous prizes too! Can you believe the number of players - wowzers! I love the inspiration to use that NBUS - I still have more to use! Wishing you a joyful day! Congrats to all winners and HUGE thanks to you, Darnell, for running such an amazing challenge! Congrats to the winners, and thanks so much, Darnell! Well, congrats all you NBUS (nnnnnbus, one word) winners...enjoy your rewards. Oh, WAHOO!, I got on the list. Stamplorations, here I come. Another great NBUS, Darnell. I will patiently await the next one! Next one, may not be during the holiday fussing, and I will get around more. Congrats winners, nice job. Wow, what a turn out! And what a generous group of prizes! Now that you mention it, I have no idea how I came up with my own pronunciation of "NBUS." I think/say "new-bus." Because all the never-before-used-stuff is new? I guess somehow I just turned it into "NUBUS" in my head in order to make it easier to say. Thank you so much for hosting another NBUS challenge, Darnell!!! 557 entries, that is just unbelievable and definitely a record, Darnell!!!! And I think that just shows again how much you are loved here in Blogland, Darnell!!! Thanks again - looking forward to the next one!!!! Congrats to all the winners, and to you ,Darnell, for sponsoring an other great NBUS challenge!! Now go and have a nice glass of wine, put your feet UP and enjoy!! Congrats to the winner, your NBUS #3 was a huge success! You will go down in history my friend! Many congratulations to all those lucky winners.........and to Dippy for her generosity. This has been such a fun challenge and I'm sure we all thoroughly enjoyed getting our NBUS out......hmmm, that sounds quite rude!!! But you know what I mean. Darnell you are amazing! I so enjoy coming to visit your blog. WOW! Talk about numbers...557?! !...You're breaking records, Darnell! lol I enjoyed playing along! :) Congrats to all the winners! Congratulations to the winners! Thank you Darnell for another fun challenge and a chance to use my NBUS! Have a great day. Oh myyy, what a fab turnout~557 entries! Thank you so much for another great "Ne-bus" challenge with so many generous prizes, Darnell. Also for your funny posts which always manage to put a smile on my face. What a lot of love you've received and given, Darnell! I've pronounced it en-bus. Just a little more to throw in that stew! Have a great week. Hope you can get back to crafting. Congratulations winners and congratulations to you Darnell for the HUGE participation. I am so happy that you explained how NBUS was supposed to be pronounced. I kind of made up my own pronunciation myself and it was not in your explanation. I should know how, though, as I was an english major! Really great of you to offer this up. Thank you for the fun challenge!! Congratulations to all the lucky winners and congratulations to you Darnell for the amazing participation. WOW!! I love how you explained how to pronounce NBUS. I pronounce it NEW BUS. ;) Thank you again for the fun challenge! Hugs! I love to read your blog and a great joy for me to participate in a game organized by you. I have not found among the randomly selected lucky, but it does not matter. It was fun to be with all of you here, and I hope that I will be back to play with you. I greet all those taking part in the challenge, and those who look it here with sympathy, and in particular organizer and originator of this wonderful fun. I've always pronounced it new-bus. Not sure why! Congrats to all the winners! You are just flat out amazing woman!Congratulations on so many entries. Thanks so much for a wonderful challenge Darnell and I'm delighted that Hammy pulled out my name with all the winners. This has brightened up a dull gray Sunday and I'm like a dog with two tails. I'm an N Bus girl by the way. Hope the Anniversary celebrations went well my friend. Congrats to all the winners! A huge congrats to you ...holly molly that's a lot of people. I know I sure had fun playing along and it made me get out some of my NBUS! Hey Darnell! Congrats to the winners! Thanks so much for doing this challenge-I am proud to say that I have a new word added to my vocabulary, that being NBUS. I, for some odd reason, pronouce it diffently-N. Buse. Not sure why I put the 'e' on the end; 'bus' makes much more sense! Thanks so much for stopping by and leaving your sweet comment on my blog! Congratulations to the winners and thank-you so much Darnell for hosting this fabulous challenge. It has really inspired me to create more and use NBUS. Also, it has been so much fun visiting the entries and making some new friends in the process. Wow...557 entires and I admire how you commented on each one...another Wow!! 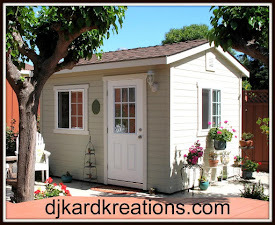 Love your playhouse and your blog..it's a wonderful place to visit and so much inspiration. So amazingly generous of you in the prize of this challenge. [BIG TY] So awesome how many played along -- Thanks so much for being in blogland - you help make it FUN! Congrats to all the winners too!! 557 entries - that is fabulous Darnell! I am so thrilled that you have so many adoring followers! HUGE congratulations to all the lucky winners! Congratulations to all the winners. And a big thank you to Darnell for hosting a challenge where we are encouraged to use our NBUS. I'm still shaking my head that you remember rebus. Kinda stuck on that fact. And congratulations to all the weiners! Darnell, Congratulations on another over-the-top successful NBUS challenge! As fun as it was, I'm sure you're glad it over, Darnell. I just want to say "Job well done!" 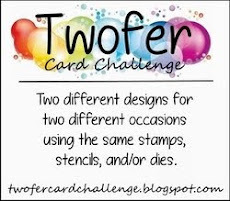 by you and all the entries into this fantastic challenge to use our schtuff. Congrats to the prize winners, but we are ALL winners because we have you and each other to inspire, support and have fun with. New-Bus -- is how I say it -- anyway we say it, Congratulations on your successful challenge and blog. You are one amazing lady! Congrats Darnell on this monumental number of entries! You are an amazing, kind person and the head cheerleader! Looking forward to the next one too! Congratulations to all of the lucky winners! Happy shopping! :o) Darnell, you are generous beyond words... I am stunned at the amount of prizes! I'm delighted for the HUGE success of your challenge. You are loved by so many and that is reflected... it was such joy to play along, as your blog is such a happy place. Lots of hugs to you, friend! Woot, woot - big congrats to all the winners! Truly humbled and grateful for the honor of being in the company of such wonderful people who share my love of papercrafting. THANKS so much, Darnell, for this lovely challenge and for your generosity. Give Hammy an extra treat for me for picking my random number! Thanks bunches!!! So excited to be a lucky winner. Darnell, THAT is an amazing accomplishment! I'm in awe that you commented on every entry! Now YOU are the "hostess with the mostess" if you ask me! Congrats to the winners and THANKS for such a fun challenge. I consider my new, unused craft supplies the real winners...they are finally seeing some action! Finally, I am going with the pronunciation "new-bus." Not sure why, just am! You have such a big heart, Darnell! How kind of you to select so many winners. Congrats to all those who will soon be shopping with their gift certificates. You are beyond generous Darnell! Congrats to all of those lucky winners, and congrats to you Darnell for growing such a fun blog to share with all of us! You rock!! Just wanted to thank you for having this fun challenge!!! So much inspiration!!! Congratulations to all the winners! Congrats to all the lucky winners! You really hosted a whale of a successful NBUS challenge, Darnell. You are SO generous and such a sweetie. Thanks so much for giving me the inspiration to play with some of my NBUS. I really needed that push. Now I'm continuing to bring even more supplies into the daylight!!!!!! Congratulations to all the winners! This was a fun challenge. Wow! So many talented entries and so many wonderful new blog friends. I am so happy to have stumbled upon your blog Darnell. This is just a happy place. I have been pronouncing is New Bus. Loves and hugs! Thank you for the fun challenge! Congratulations to the winners. What a wonderfu NBUS and great turnout. Congratulations to all the winners and a huge thanks to you for sponsoring it. I think it makes us look to what we have and new ways to use it instead of buying new things. I loved seeing all the cards and meeting some new crafters. And thank you for the cake and I'll have the wine. Congrats to all the winners! And thank you Darnell for giving us the chance to win. (I would enter without the prizes...) Just because you are so much fun...LOL! And deserving...such a special lady you are. Wow! What a lot of entries. Congratulations to you Darnell and to all the winners. Having been a winner in the past I know how fun this challenge is. I love that last funny...my friends are in my puter too!! Yay for you and Hammy. Another job so well done. Hope you are taking a well-deserved vacay to enjoy the outside of the playhouse. And vodka. 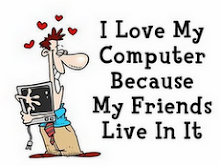 I love your little graphic here (love my computer cuz my friends live in it) Can I repost? How fun to find my name here Darnell! 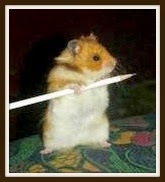 Hammy looks so cute with his pencil - what a smart little hammy he is!! congrats to all of the other winners as well and to you for hosting these fun challenges! Darnell, your blog is such a wonderful place to visit! I had so much fun playing in the challenge but to WIN - I'm so excited!! Kudos to you for sharing your happy playroom with all the HUNDREDS of us who entered. And sharing your time and yourself as you commented on each one! Whew-EEE! I saw some winners I know and so doing the happy dance to see my other 'chile' (Brenda L) won a prize! It was a kick to see some other names that are familiar. Congratulations to ALL your winners. That's a super prize outlay you are doing, and well deserved to the winning draws. Tell Hammy he done good! TFS & Big hugs. Thanks for encouraging me to use my NBUS and thanks for brightening my day every time I read your blog. I still can't get over how you commented on all of our entries - your fingers must indeed be worn to NUBS, and how did you manage any sleep during this time. I had been pronouncing it EN-BUS before but will henceforth opt for NEE-BUS - nie (pronouced nee), is german for never so seems appropriate !!! Ah Darnell at last able to comment on your amazing post. Mind blowing indeed and generous beyond belief that you've given so many prizes. You are one incredibly generous lady.... And astounding endurance to have commented on every posted entry. Not quite sure how you manage it...but you are a real treasure and greatly appreciated . Congratulations to all others and big thanks to Hammy for drawing my name out of the hat too. HUGE CONGRATS ladies & THANK YOU Darnell!!! You are the most generous person I've ever known, Darnell! Congrats to all the winners! Thanks so much!I love your challenge! Adding my cheers and applause to the winners; my UTMOST appreciation for your awesome challenges! NBUS rocks!